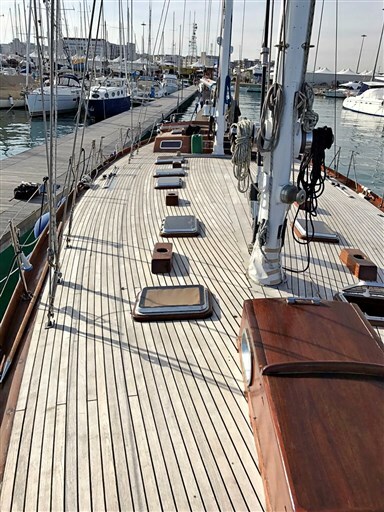 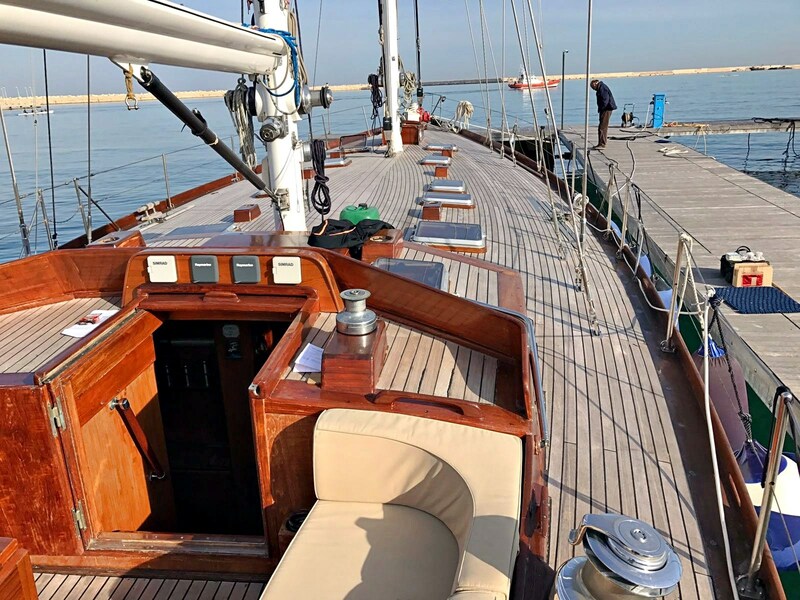 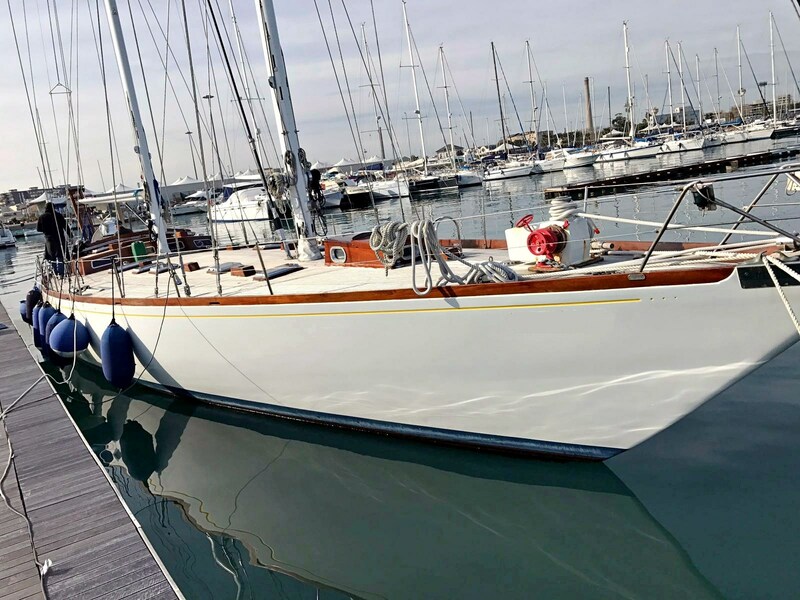 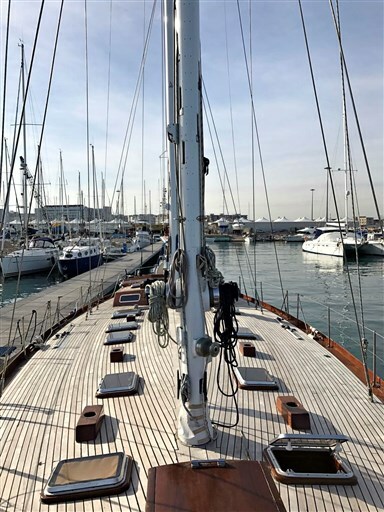 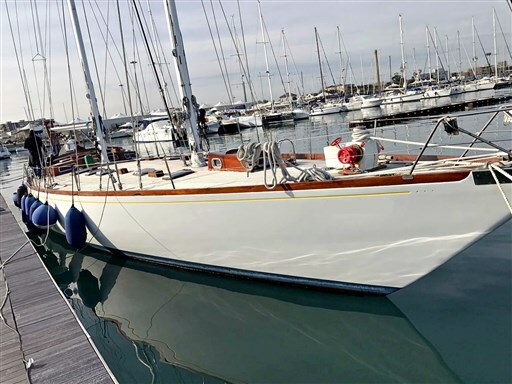 The boat Terza Santa Maria was launched in 1973 by the prestigious Sangermani Shipyard in Lavagna, built according to a design by Cesare Sangermani. 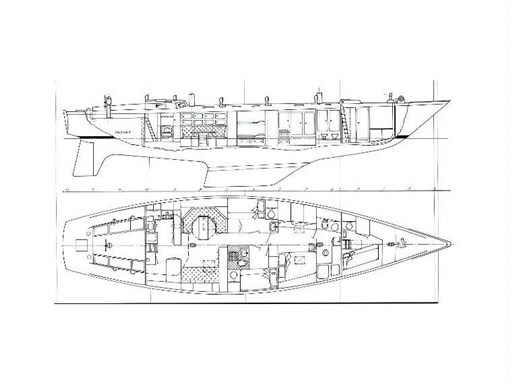 His original name was Noa Noa V; building number 184. 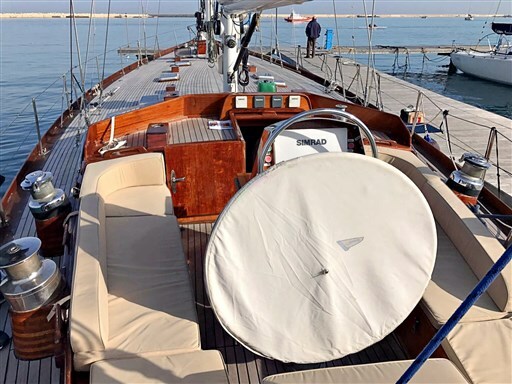 Terza Santa Maria is a schooner with even trees with fractional arming. 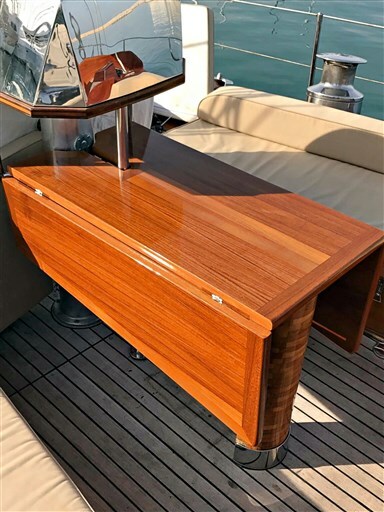 The boat is built in mahogany planking glued and screwed to oak trims with bronze screws. Bridge and teak superstructures, cherry interior. 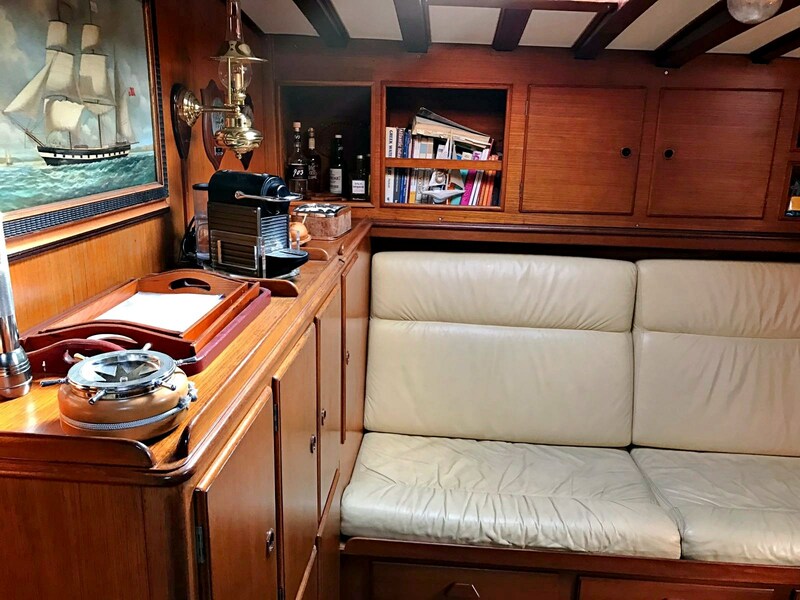 Below deck we find on the right a large chart table with large electrical panel and navigation instruments, on the left the kitchen area. 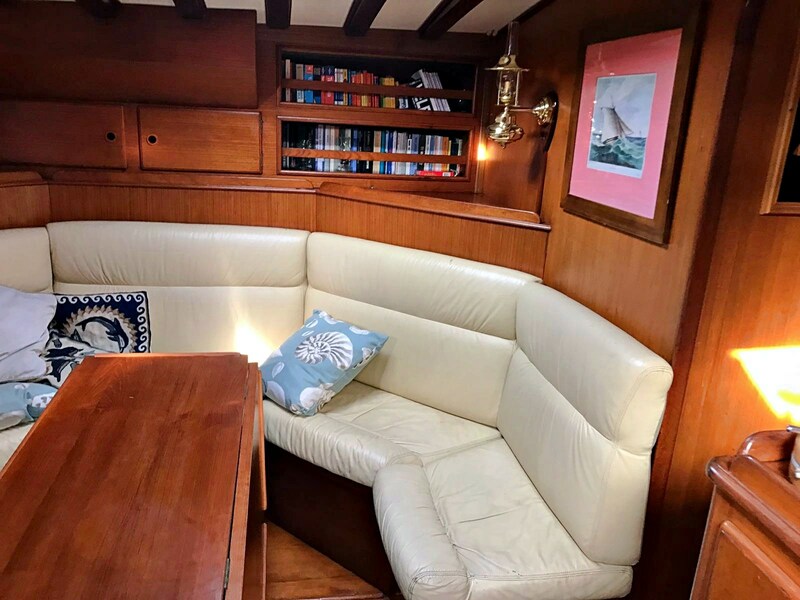 The dinette with a dining area on the left with sofas. To the right of the dinette is the living room. From the dinette we proceed towards the bow through a long corridor which overlooks the doors of 2 guest cabins and a bathroom. 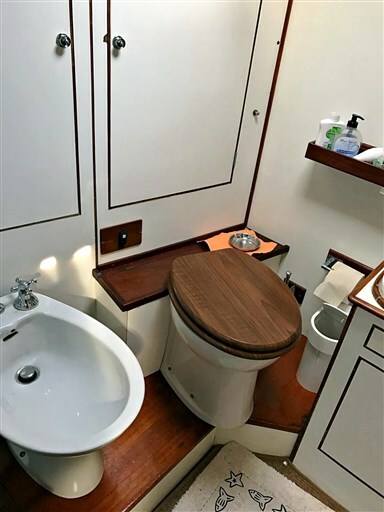 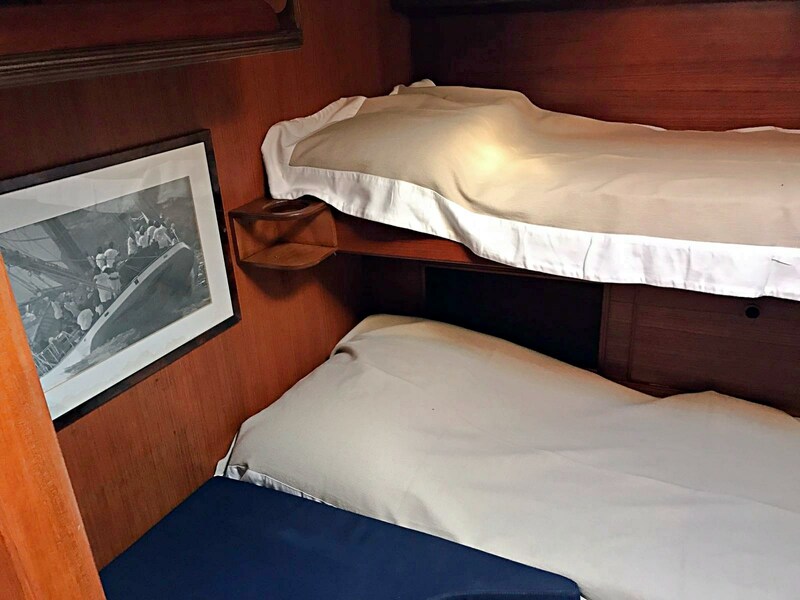 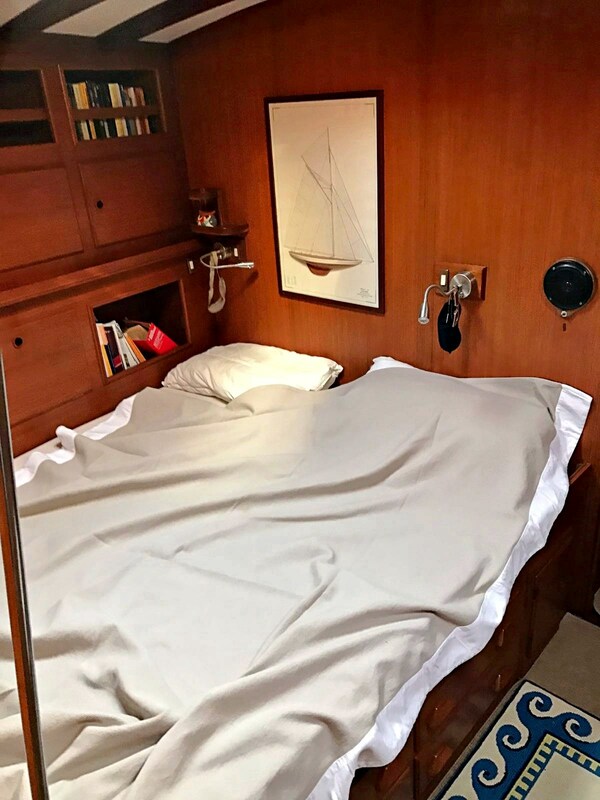 The left cabin has a toilet area en suite, while the starboard cabin has a large decking area. The corridor ends in a sumptuous master cabin with a king-size bed. 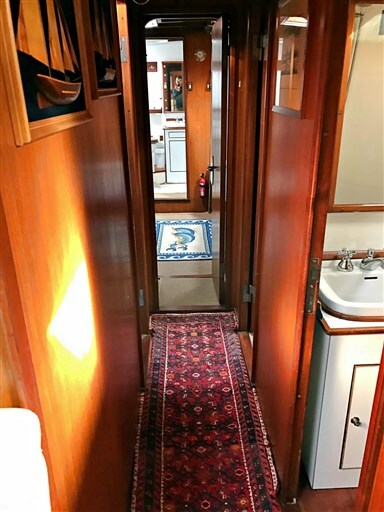 At the bow of the master cabin a large bathroom. 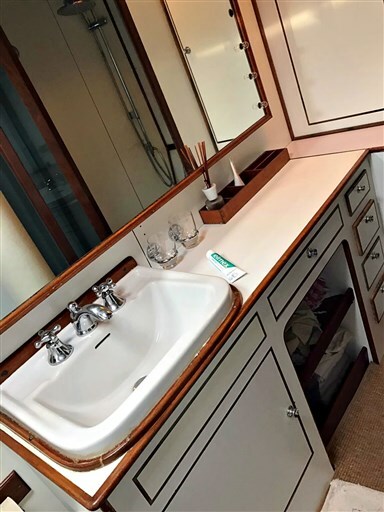 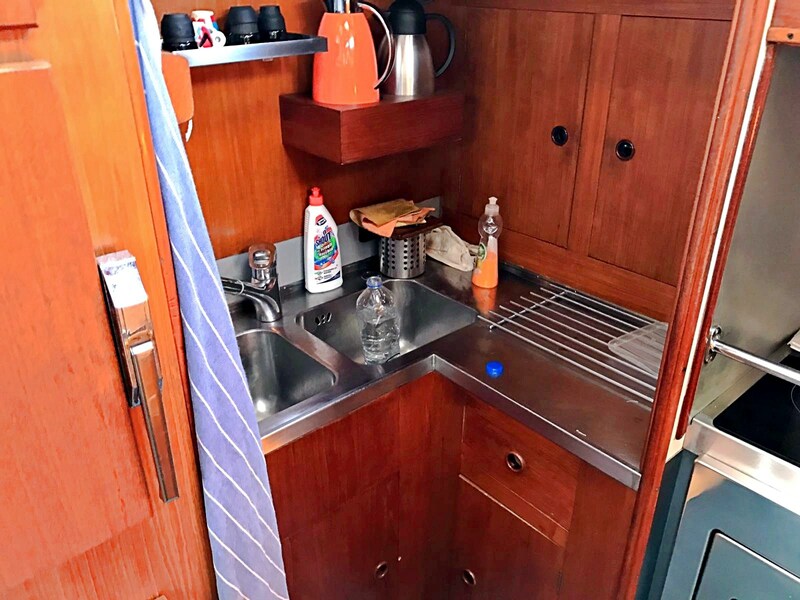 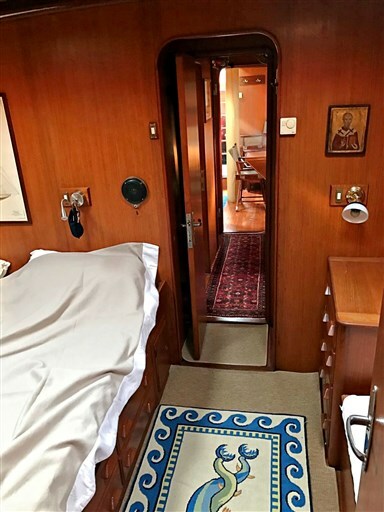 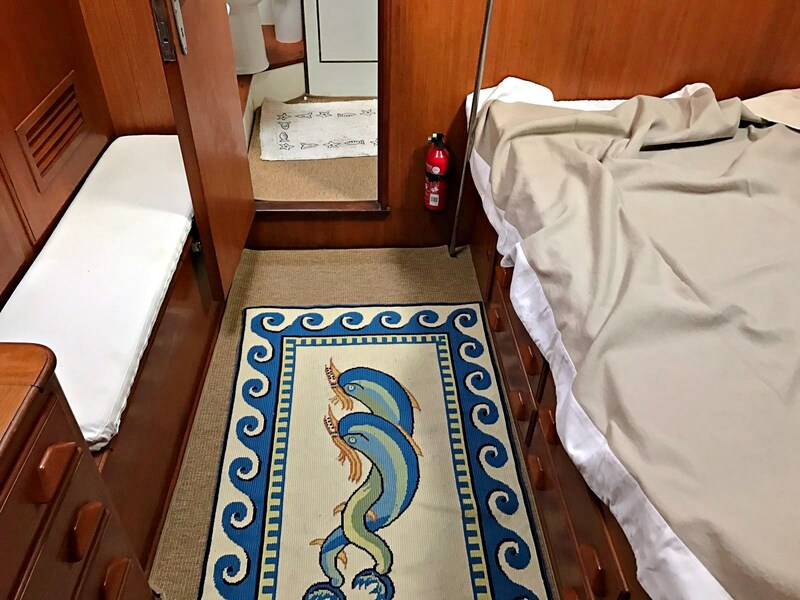 At the bow of the bathroom is accessed from the deck in a comfortable cabin for the crew with bath and shower. 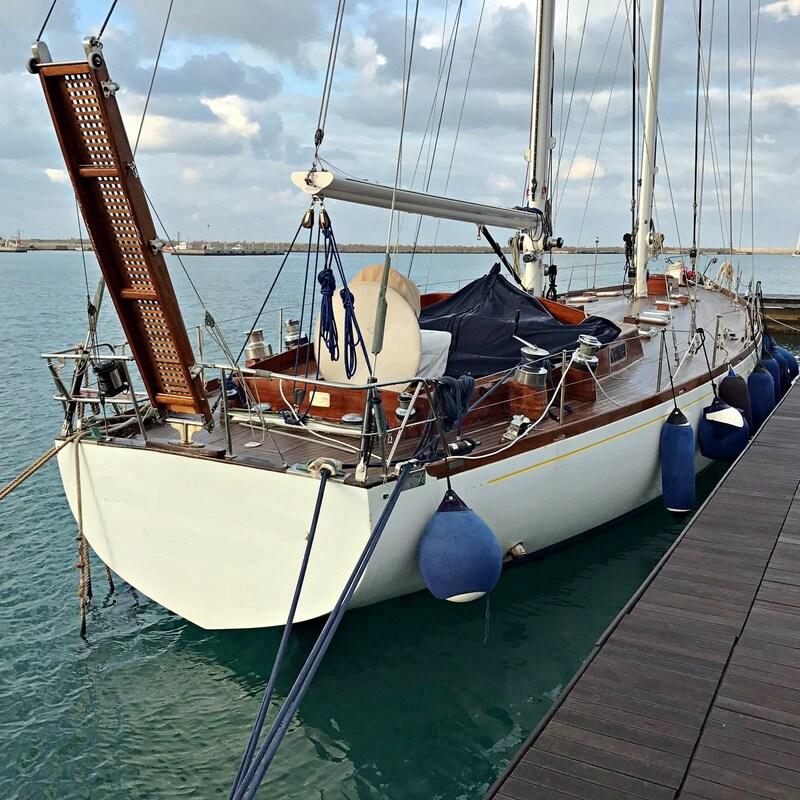 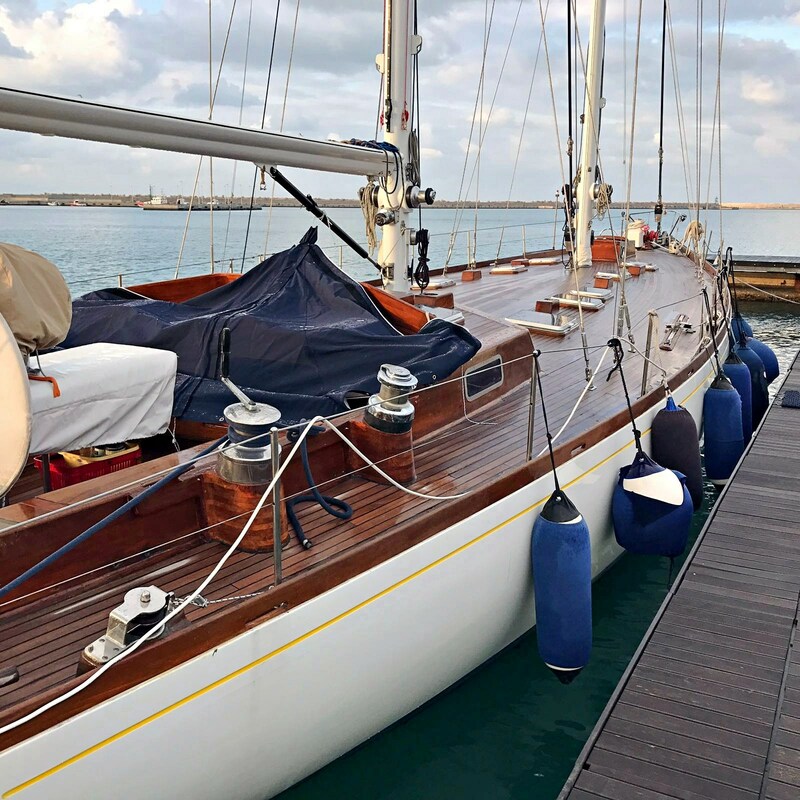 Replaced accessories and maintenace: Boma (2008), Rigging (2016), electric furling machine of genoa (2010), electric furling machine of staysail (2010), 60m plating on live work (2014), head replacement and engine pistons (2007), ordinary engine maintenance (November 2017). 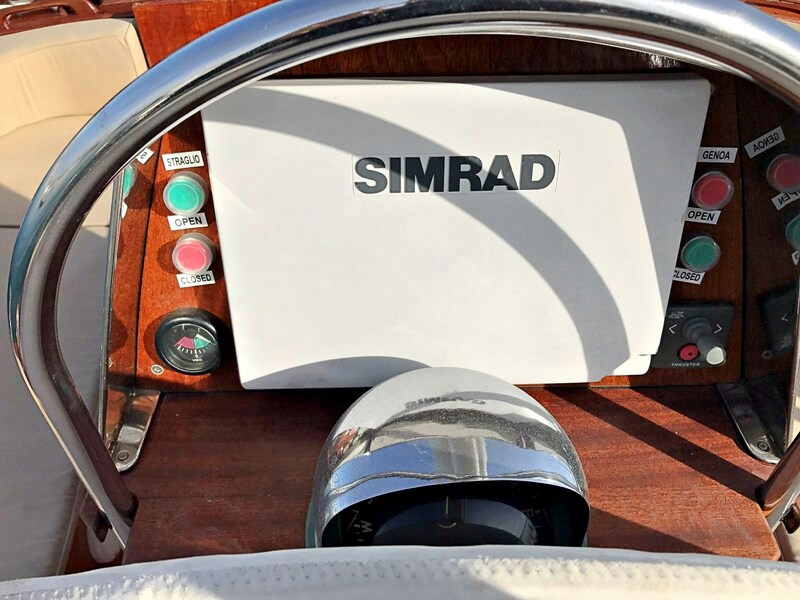 Autopilot, Chartplotter, Compass, Depth Sounder, GPS, Mast repeaters, Radar, VHF Radio, Wind Station. 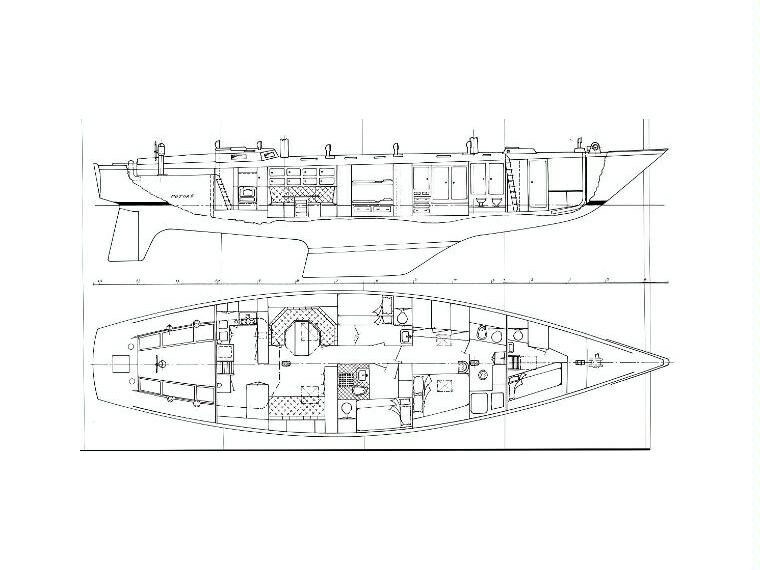 Anchor, Batteries, Battery charger, Bow Thruster, cockpit table, Crane, Deck Shower, Electric Bilge Pump, Electric Windlass, Gangway, Manual Bilge Pump, Outboard Engine Support Bracket, Ripetitore strumentazione, Rod rigging (2015), Shorepower connector, swimming ladder, Teak Deckhouse, Teak Cockpit, Tender, Water pressure pump, Winch, Windex. 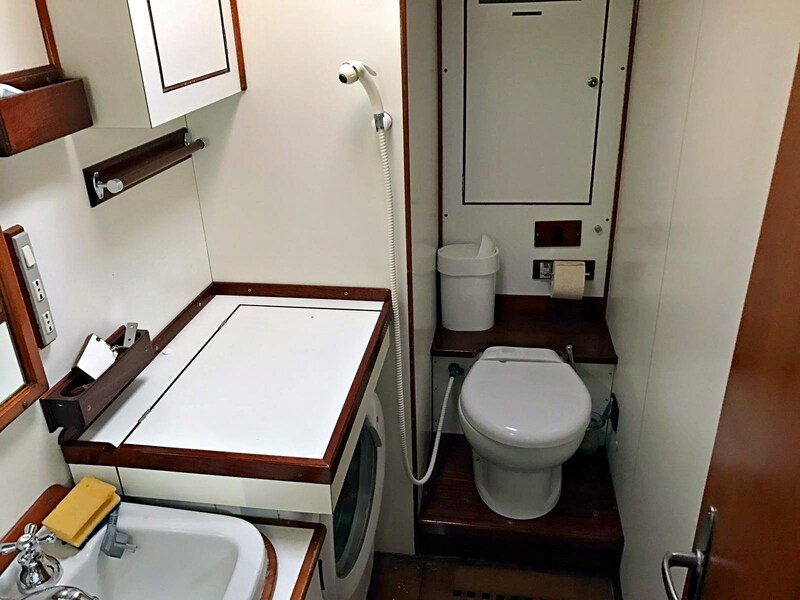 12V Outlets, 220V Outlets, Air Conditioning, BBQ/Grill, Electric Toilet, Inverter Air Conditioning, Manual Toilet, Warm Water System, Watermaker. 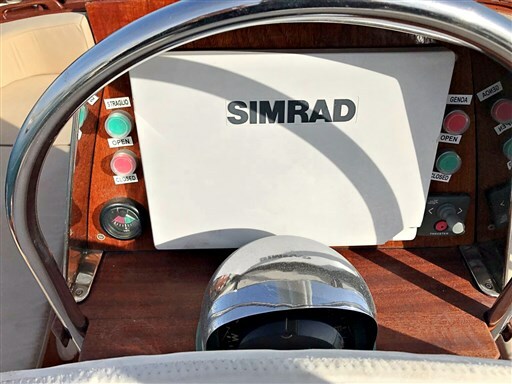 Radar reflector, Safety equipment within 50 miles. 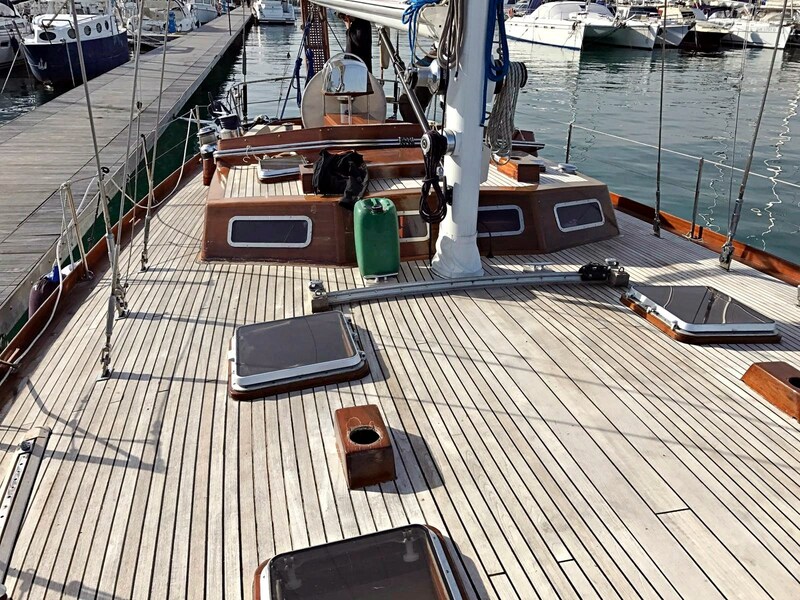 Backstay tensioner (idraulico), Ball bearing slider mainsail, Gennaker equipment, Jib Furling System (idraulico), Lazy Jack, Mainsheet traveller, Spi Equipment, Staysail forestay. 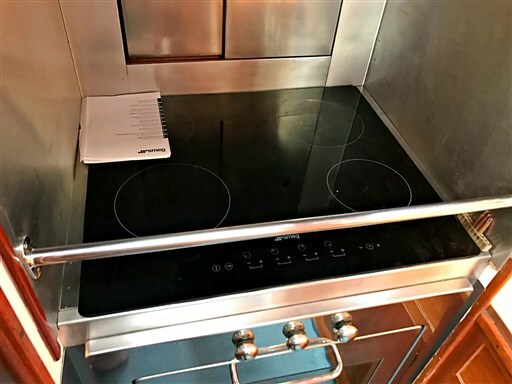 Burner, Electric hot plate, Freezer, Galley, Icebox, Oven, 3 x Refrigerator, Washer. Bimini, Cockpit Cushions, Cushions, Instrument Cover, Sprayhood, Stern Cushions, Sunshade.